What are the most common challenges facing broadcasters in the field today? One of the most critical challenges for broadcasters today is arriving first on the scene of a breaking news story and being able to send live video coverage. 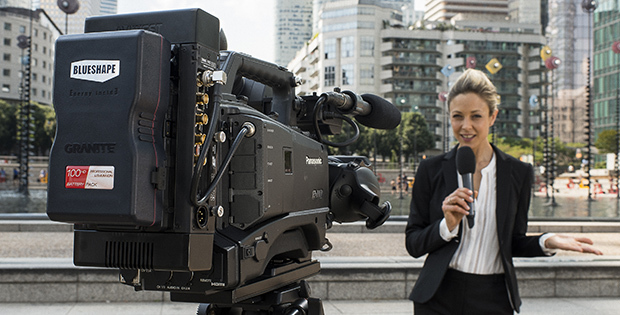 Tough competition between TV channels, combined with the fact that consumers are demanding news faster and on multiple devices, means that broadcasters must have reliable, cost-effective, and portable video uplink solutions at their disposal. Flexibility is especially important today. As the number of available networks continues to grow, broadcasters need to be prepared for any situation. Choosing a system that supports a wide range of networks, including 3G/4G cellular/wireless, WiFi, Ethernet, and satellite will guarantee that a broadcaster can air live news from any location around the world. Ease of use is also important and will enable a news organization to react to breaking news. A video uplink system that has been designed with the user in mind will include features like automatic recognition technology, which detects real-time network capabilities and bonds together multiple IP-based networks, as well as a touch-screen interface for simplified configuration and operation. Additionally, for larger news operations, the ability to monitor and manage an entire fleet of digital mobile newsgathering equipment is extremely advantageous. Keeping this need in mind, AVIWEST’s new DMNG Manager, will be launched at IBC2014. It is a live video contribution platform that enables control over a wide range of equipment including DMNG transmitters, smartphones using the DMNG APP, and DMNG Studio receivers, allowing broadcasters to easily allocate resources and route live video content for transmission over 3G/4G cellular wireless, WiFi, Ethernet, and satellite networks. By streamlining DMNG operations, the solution provides broadcasters with significant time and cost savings. How has mobile newsgathering changed in recent years? While mobile newsgathering used to be a technique that was only used by major news organizations, today it is pretty commonplace. Nearly all TV news channels report on live events and breaking news situations using mobile newsgathering technology even smaller, local broadcasters. Improvement of networks and technology advancements for mobile newsgathering solutions has been critical in the development of mobile newsgathering. In terms of the networks, we’ve seen mobile network capabilities expand from 3G to 4G and beyond, with 5G on the horizon. As consumer demand for high-speed data and high-quality video services have gone up over the years, there has been an increased need for fast broadband Internet access. AVIWEST solutions work by detecting and aggregating multiple IP-based networks (e.g., 3G, 4G, WiFi, Ethernet, satellite). As wireless connectivity increases, the AVIWEST solutions will enable broadcasters to take advantage of every IP network within their immediate area as they become available. This is achieved through a high-performance mechanism that automatically senses and bonds together all possible IP connectivity, providing broadcasters with the biggest pipe to spread their video content. In terms of the enhancements that have been made to mobile newsgathering solutions over the years, some of these include more robust performance, decreased power consumption, compact size, and lighter weight. All of these improvements aid broadcasters’ ability to move faster as they are not bogged down carrying heavy equipment. The reduced power consumption also helps to decrease operating costs. What technical advancements have been achieved in mobile newsgathering? Over the years, flexibility has dramatically increased in the field of mobile newsgathering. In the past, broadcasters and video professionals relied more on traditional satellitebased systems for live news and events coverage; however, these systems can be limited in their scope. With a satellite-based system, users need to keep the ENG camera close to the vehicle or they will not be able to receive the signal. Using these systems, mobility and indoor coverage are nearly impossible unless a complex and costly infrastructure is set up. This approach is not ideal in scenarios where broadcasters need to cover breaking news. For example, to broadcast the Tour de France live using a traditional satellitebased system, one would need a helicopter, an airplane, and a satellite base station. This kind of system is heavy, costly, and complex. Therefore, we generally only see such systems being deployed for a small percentage of major sports events in the world. Thanks to recent technology advancements, cellular-based systems offer broadcasters and video professionals the fl exibility to broadcast live events in areas that are well covered by 3G or 4G networks. A portable bonded cellular transmitter, coupled with a high gain cellular antenna array, improves signal resilience and the quality of the live video transmission, providing users with a powerful solution for covering live events, such as a marathon or a cycling race, from a motorcycle. By enabling broadcasters and video professionals to more effectively broadcast news on the go, cellularbased systems dramatically change how the industry covers remote events in a way that couldn’t be imagined even a few years ago. With 3G or 4G networks being deployed widely, we believe that cellular uplink devices are a futureproof solution that allows easy, affordable coverage of breaking news stories or sports events anytime, anywhere. Is it possible to sustain optimal video quality in remote areas? Being able to maintain a high video quality from remote corners of the world can be challenging, but not impossible. It requires mastering three types of technologies. The fi rst is network bandwidth. Broadcasters can get the most amount of bandwidth by bonding together all available networks, such as WiFi, 3G/4G, and satellite, and then adapt the video compression according to those available networks, in real-time. The second technology that comes into play is video compression. Advanced video compression technologies (e.g., H.264 and next-generation standards like HEVC) and pre- and post-processing tools (e.g., fi ltering, video concealment process, etc.) are needed to reduce the required bandwidth for a given video quality level, and improve the quality of experience for viewers. Finally, video contribution is key. The transmission must be robust in order to handle possible errors and packet loss. FEC and packet retransmission are the most common features to implement to improve the transmission reliability.